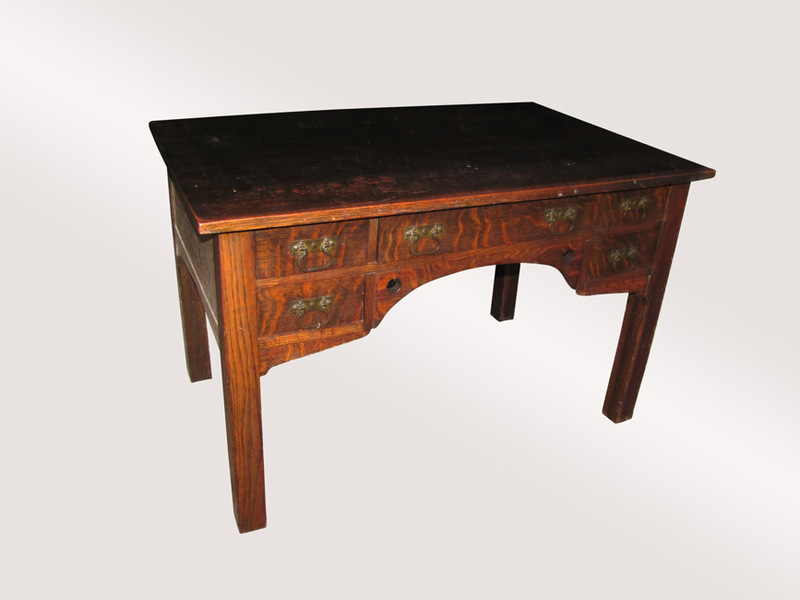 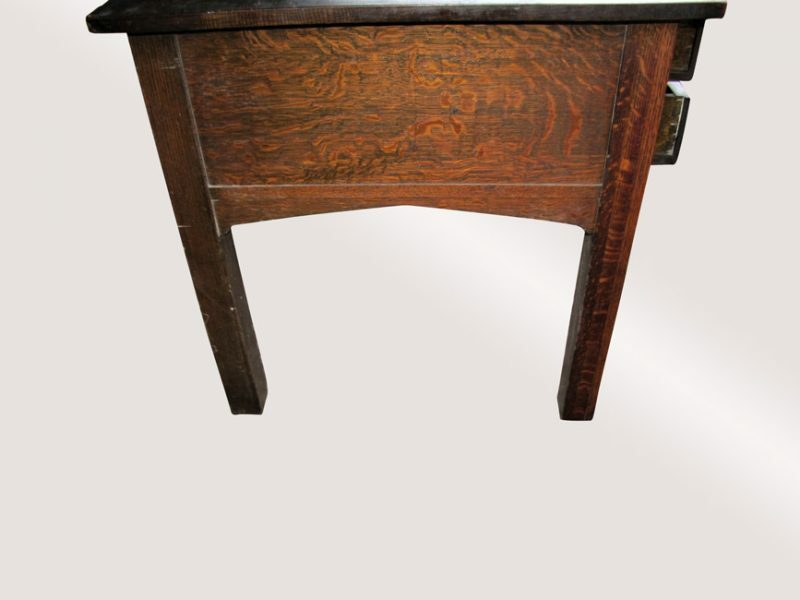 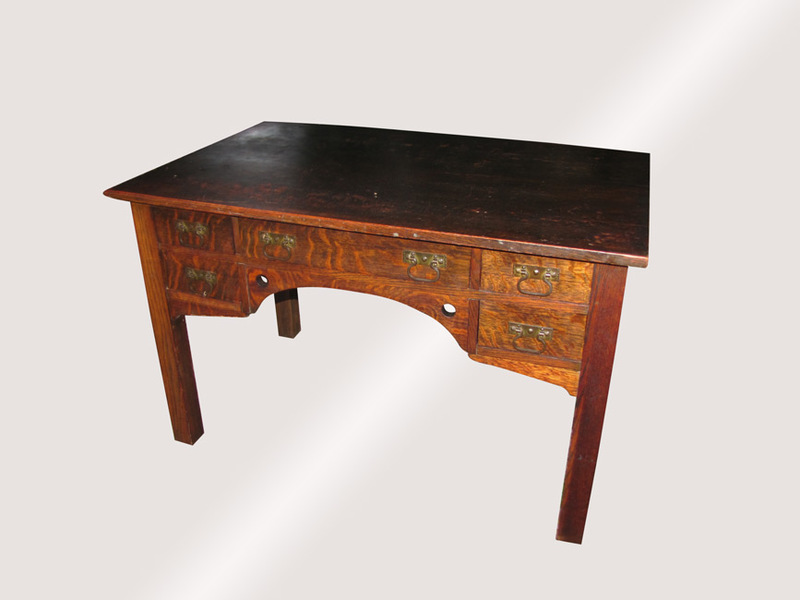 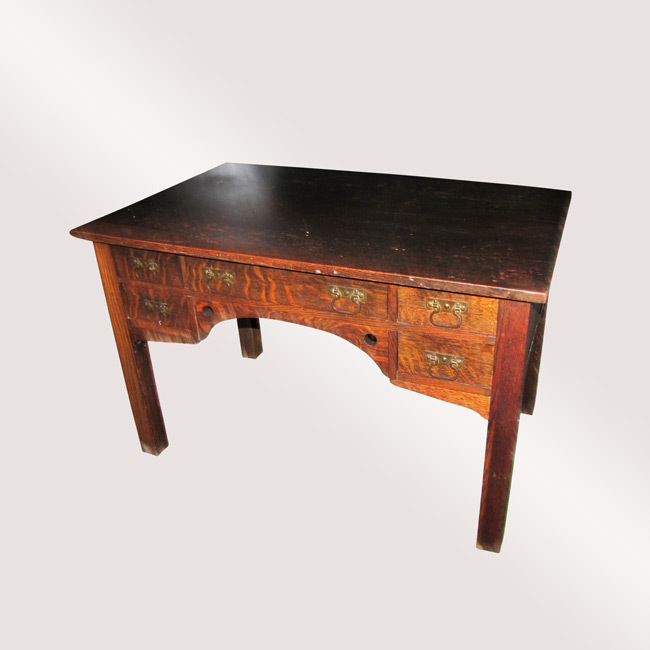 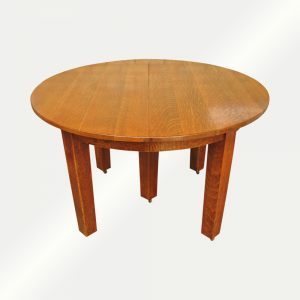 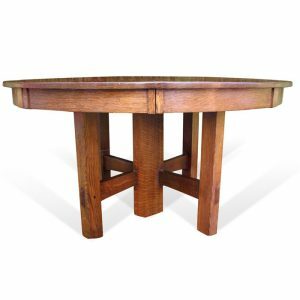 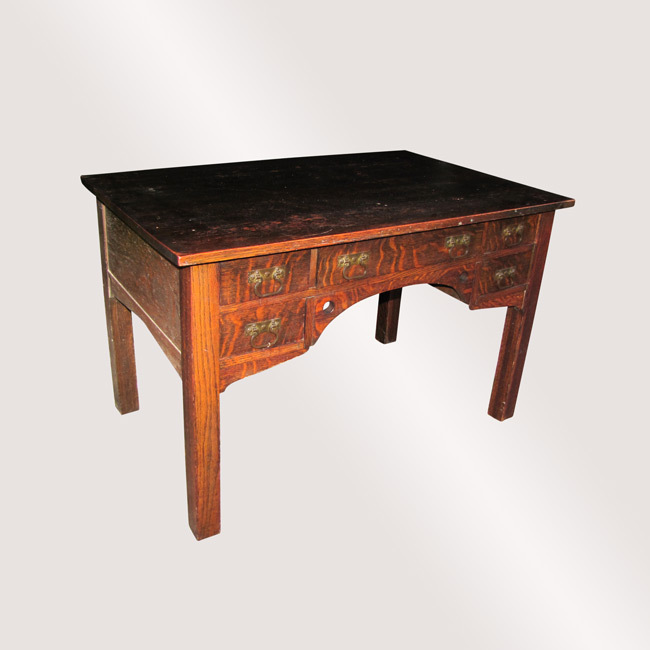 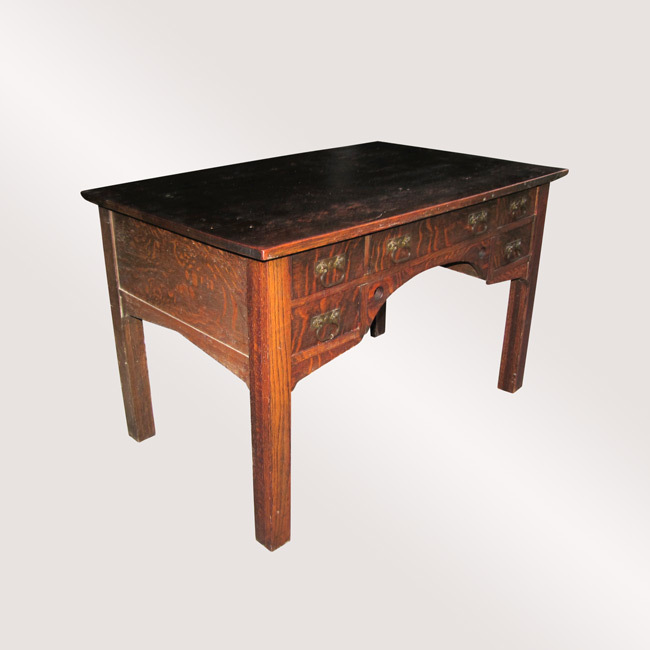 This is a great looking Antique Bailey ARTS & CRAFTS Libary Table/ Desk (In Stickley Brothers Style) from the early 1900’s. 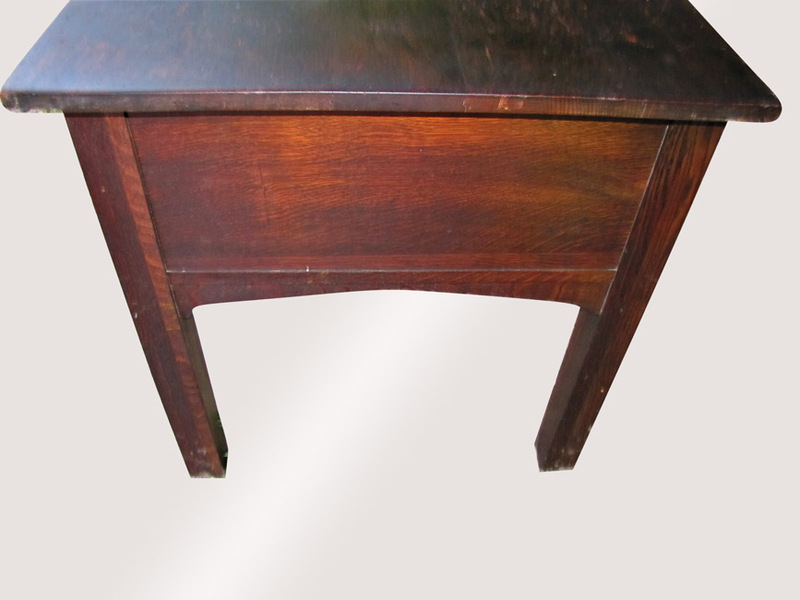 This is built by Bailey, but is in the style of the Stickley Brothers. 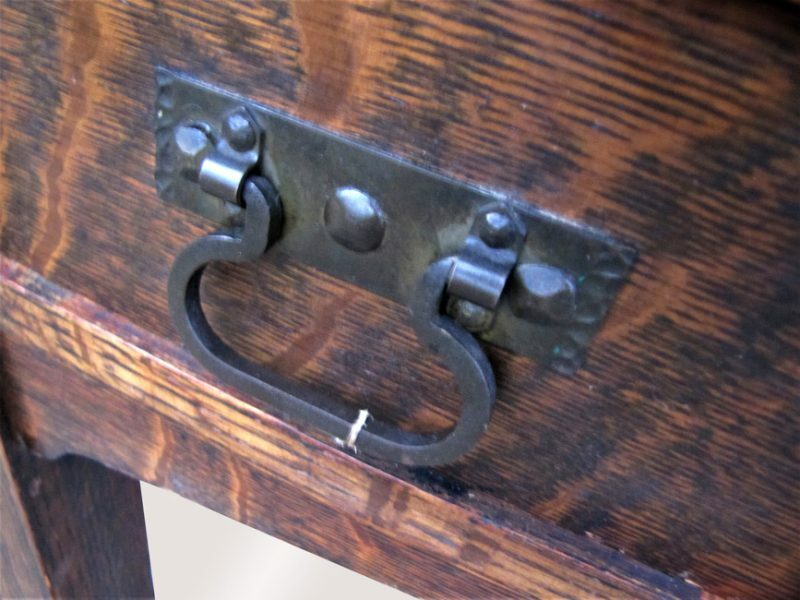 This has beautiful looking hardware and 4 casters along with a great selection of 1/4 sawn oak. 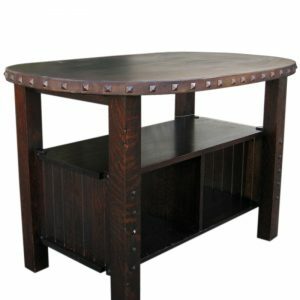 This has cutouts on the front and has a beautiful fume black finish. 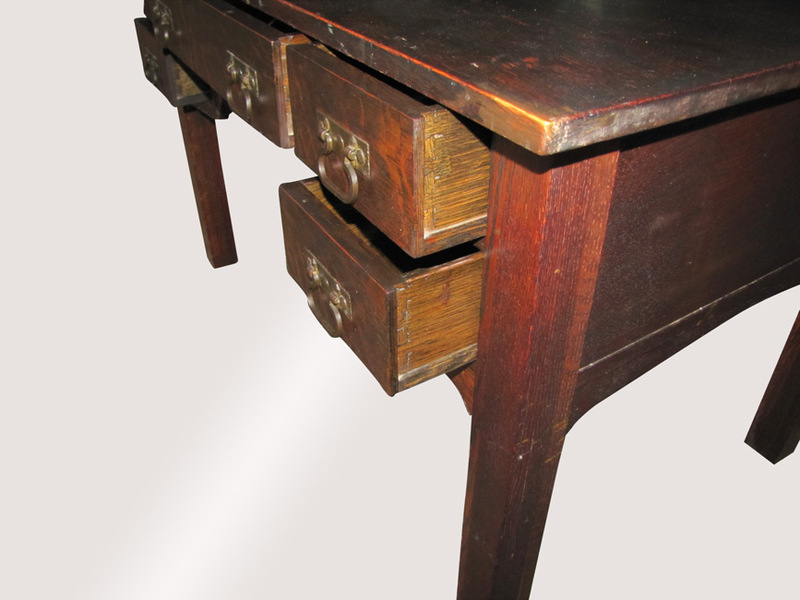 It has 2 drawers on each side and 1 wider drawer in the center. 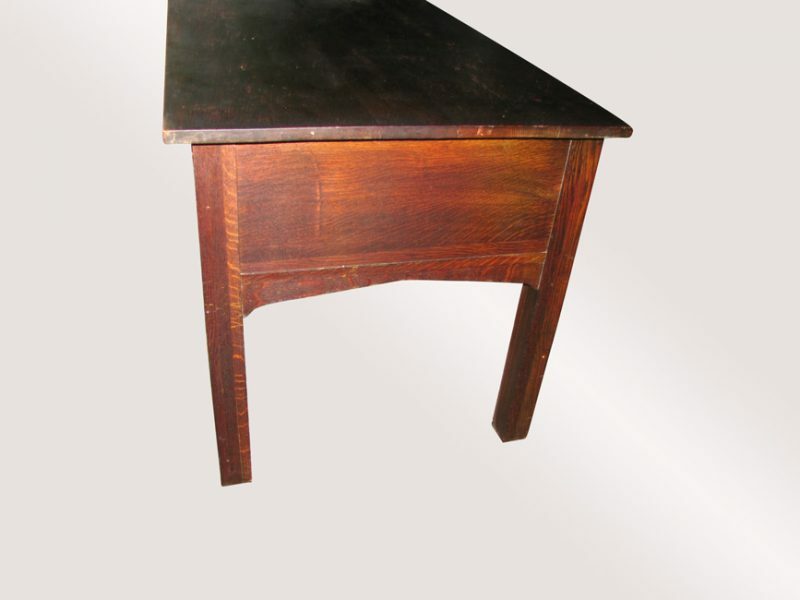 There are no repaired or replaced parts on this desk. 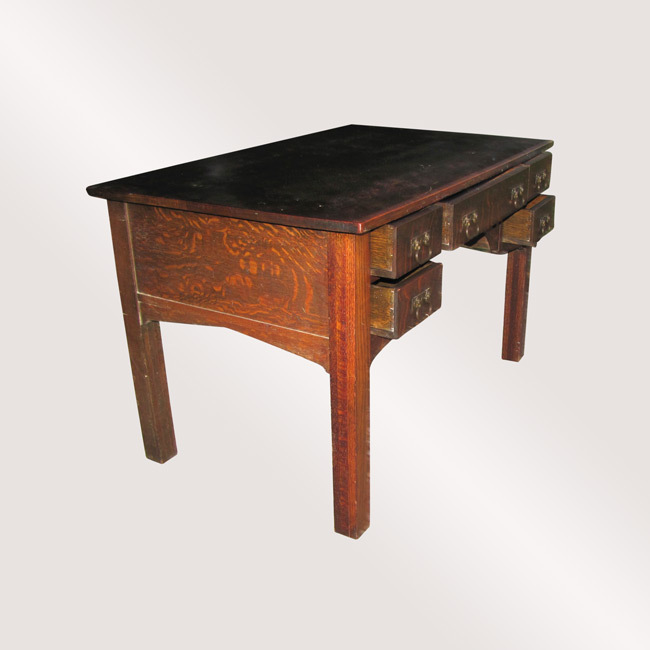 This piece of furniture is sturdy, strong and ready for use in your home. 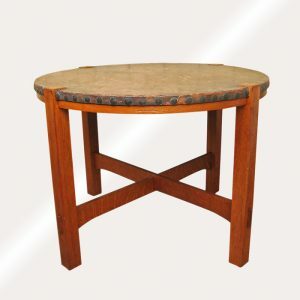 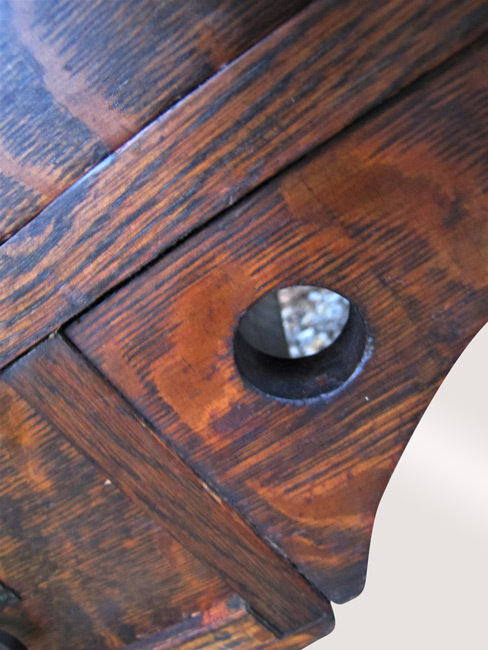 We offer quality and ready to use in your home MISSION furniture. 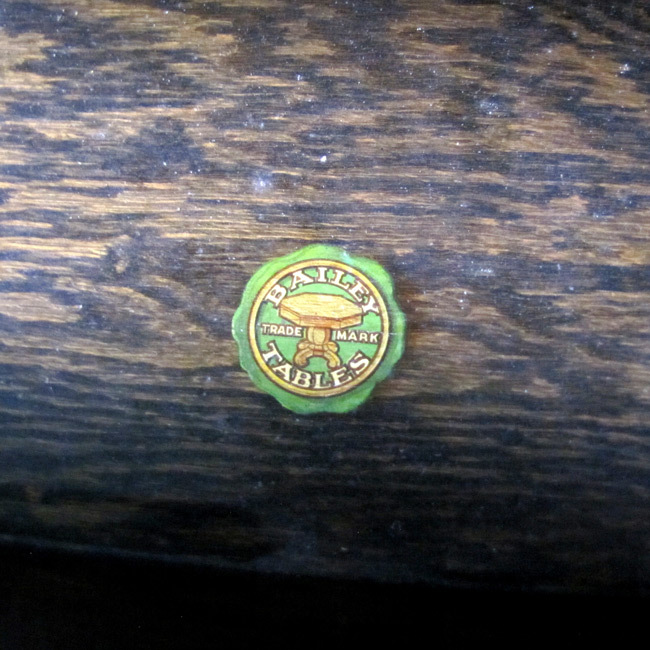 You will have it in few days.